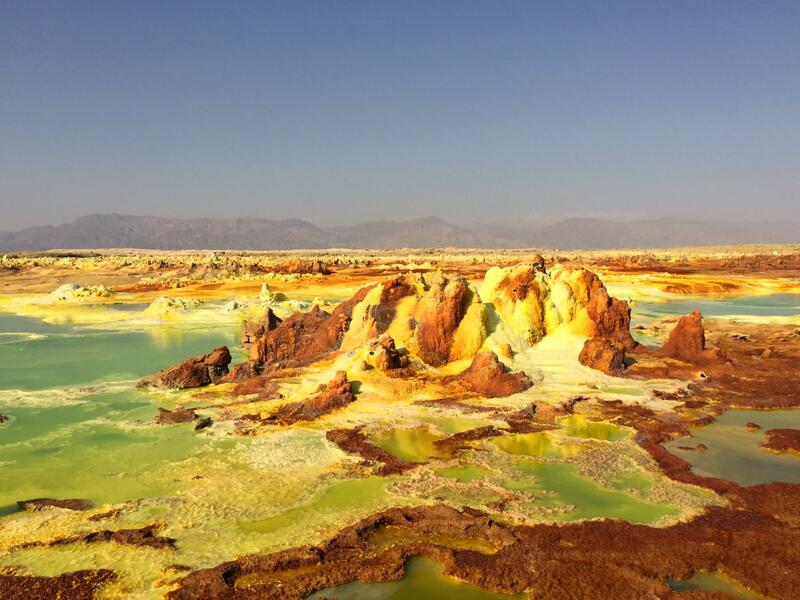 When I saw the photos of Danakil Depression, I was immediately captivated by its strange alien beauty and I decided to research more about Ethiopia and I found out that Ethiopia has so much to offer. 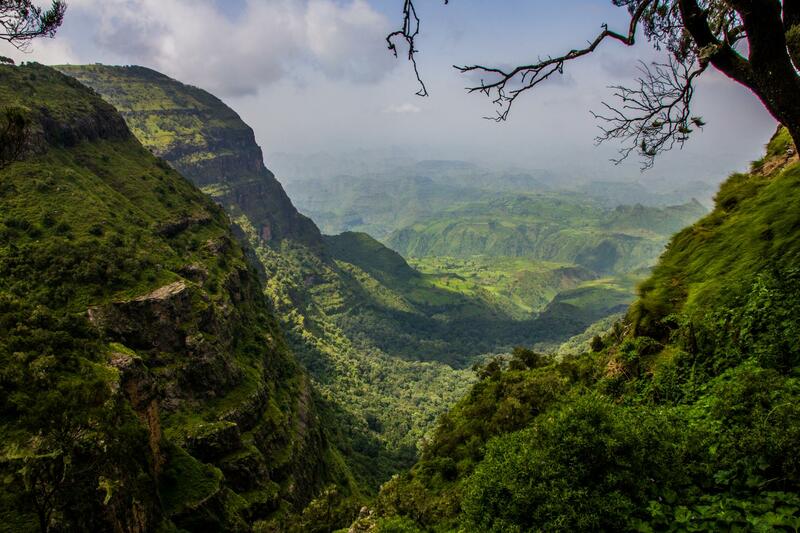 It is the Cradle of Mankind where Lucy the 3.5 million fossils was unearthed. There are more than 80 different ethnic groups, 16 of them are found in Omo Valley, and the tribes have remained its way of life for thousands of years. 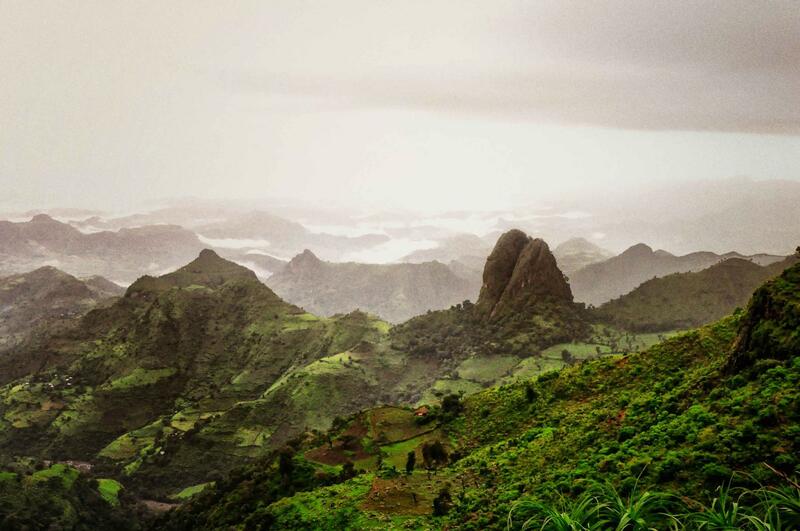 Ethiopia is home of the Black Jews and also one of the oldest Christian nations in the world. They also claimed to hold the Ark of the Covenant as well as a piece of the True Cross on which Jesus was crucified! I hope you are as fascinated as I am and I invite you to join me in this journey and discover what else we don't know about our world. Here is the glimpse of what we will be visiting. 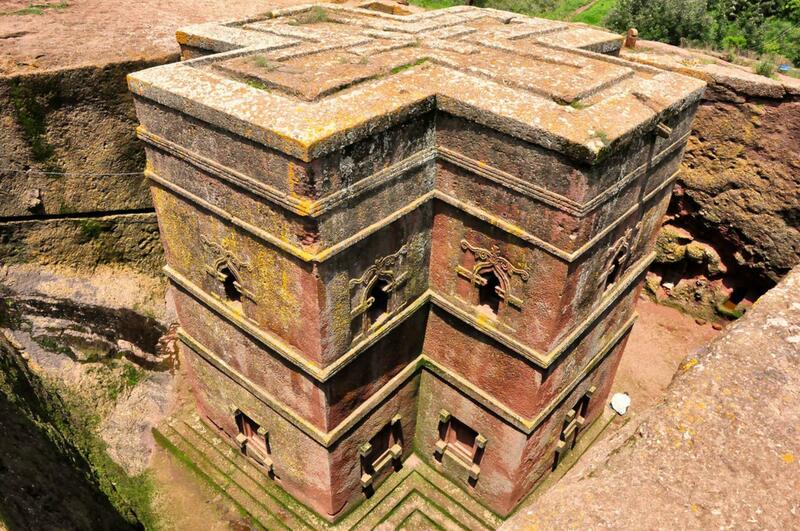 Lalibela, revered as a saint, is said to have seen Jerusalem, and then attempted to build a new Jerusalem as his capital in response to the capture of old Jerusalem by Muslims in 1187. Each church was carved from a single piece of rock to symbolize spirituality and humility. It is believed that the churches were built between 12th and 13th centuries. We will attempt to visit all 12 of them. 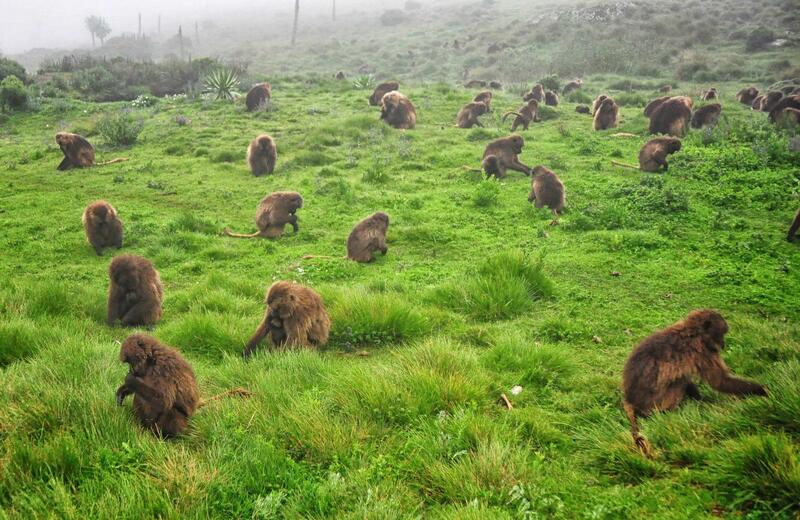 It is said that the scenary of Simien mountains will leave us speechless, and sitting among the groups of gelada monkeys enjoying the scenary is a mind blowing experience that will be with us for a long time. 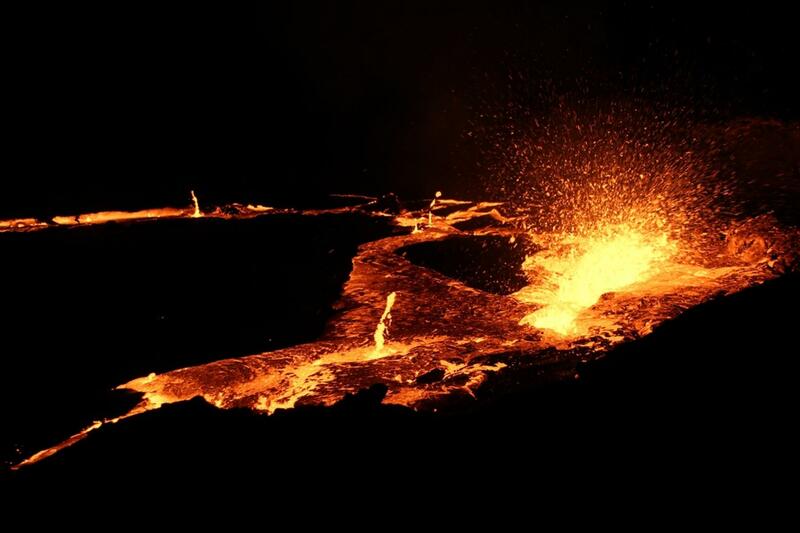 Ethiopia's Danakil Depression alien looking landscape has one of the most extreme climates on Earth, the northern part is extremely hot and dry, however, heat isn’t the only thing people feel in the Dallol Depression. Alarming earth tremors are frequently felt. There are also several active volcanoes. In this seemingly inhospitable area you wouldn't expect too many people to be living here, however, there are 3 million nomadic Afar people that lives here, mining the salt as their main source of income. 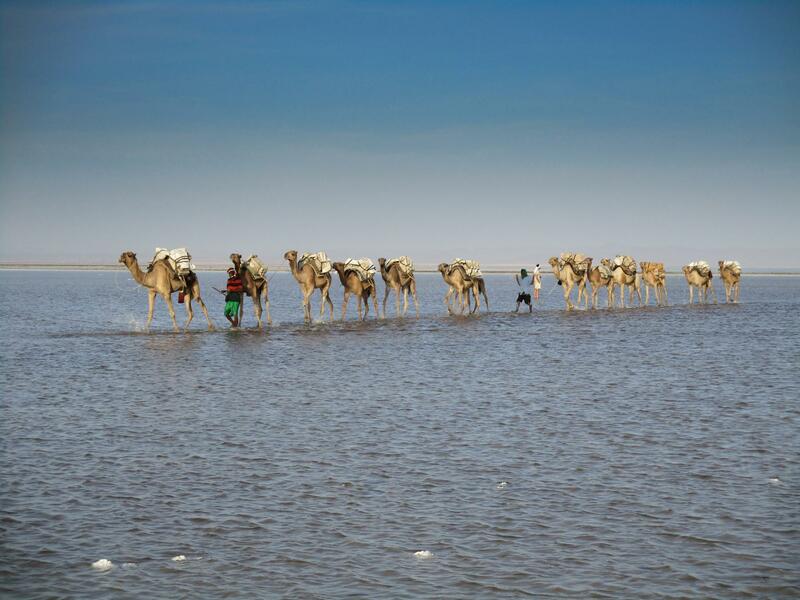 Camels are used as their transportation and it is said that 1 million camels will pass by Berahile, one of the main access point to the Danakil Depression. 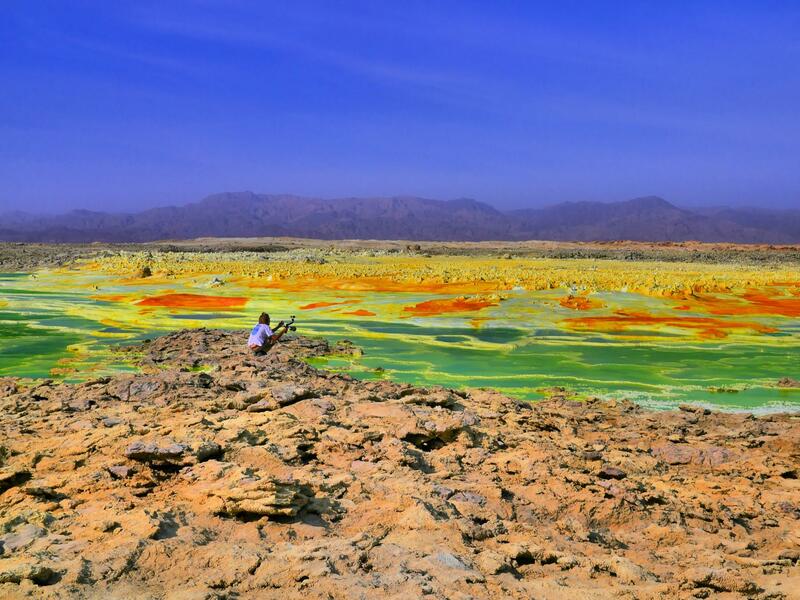 Danakil Depression which used to be part of the Red Sea, has kilometres of salt deposits. In some places the salt deposits are about 5km thick. Below the many salt lakes are substantial sources of volcanic heat which causes hot water to rise through layers of salt and deposit anhydrites. Minerals also get dissolved and are deposited near the springs, and form shapes very much smaller than conical structures on basaltic lava flows. Sulphur, other minerals and possibly bacteria cause the spectacular colours. 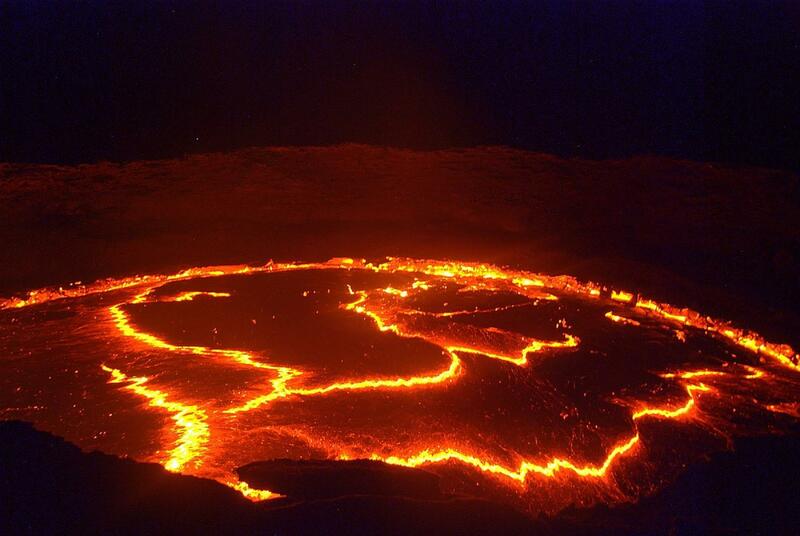 We will move on to an active volcano, Erte Ale, with a lava lake, one of only five in the world. Erta Ale, in whose crater lies the world’s only below sea level land volcano, has techni-colored landscapes, incredible mineral deposits. Sulphur lakes and bubbling sulphur springs are fascinating sights not to be missed. I think it is once in a lifetime experience.